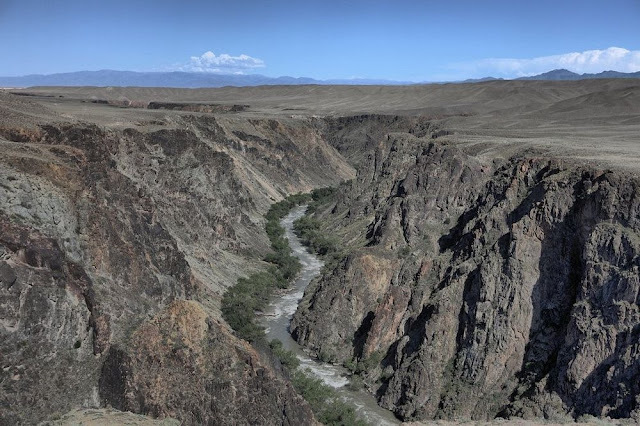 Tucked away between the Ketmen and Ulken-Bogut mountain ridges in the southeast corner of Kazakhstan, close to the border with China, lies the “Grand Canyon of Central Asia” —an impressive gorge about 90 kilometers long carved by the fast-flowing Charyn river (also spelled as Sharyn) during its northward journey from its headwaters in the Tian Shan Mountains across the arid semi-desert east of Almaty. 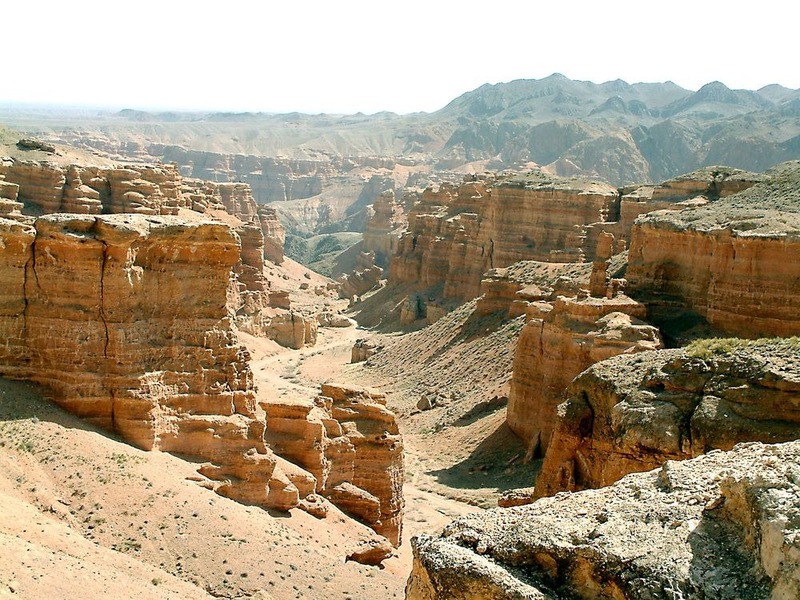 Parts of the canyon are up to 300 meters deep. 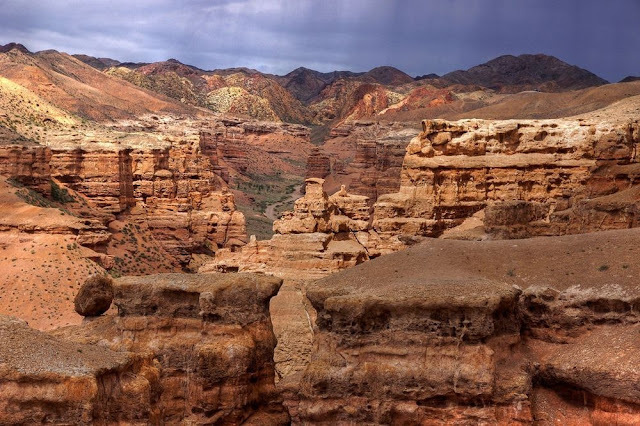 Several millennia of weathering action has revealed multiple layers of colored sediment deposits on the walls of the canyon. Of particular interest is a dry side ravine, about kilometer or two in length, called the Valley of Castles, where one can see towering rock formations which resembles, with some imagination, pillars and castles. 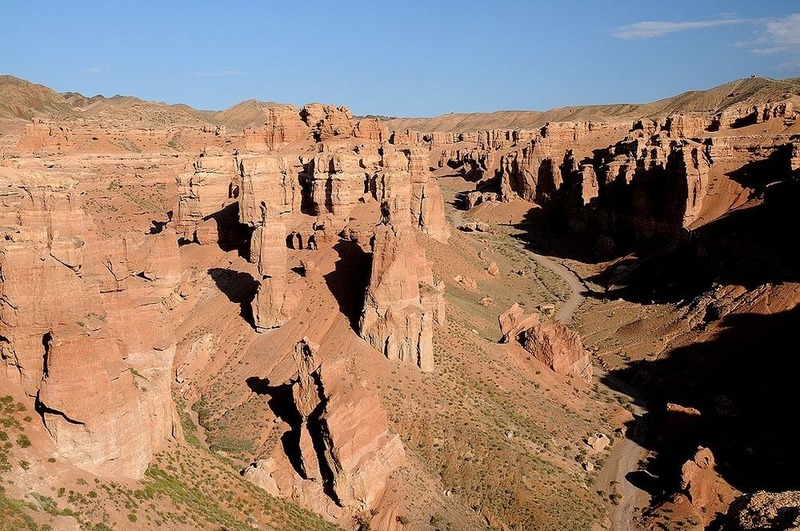 The fairy-tale sandstone formations through the canyon have also been given names such as Notre Dame, Penguin, Donald Duck and Winnie the Pooh. 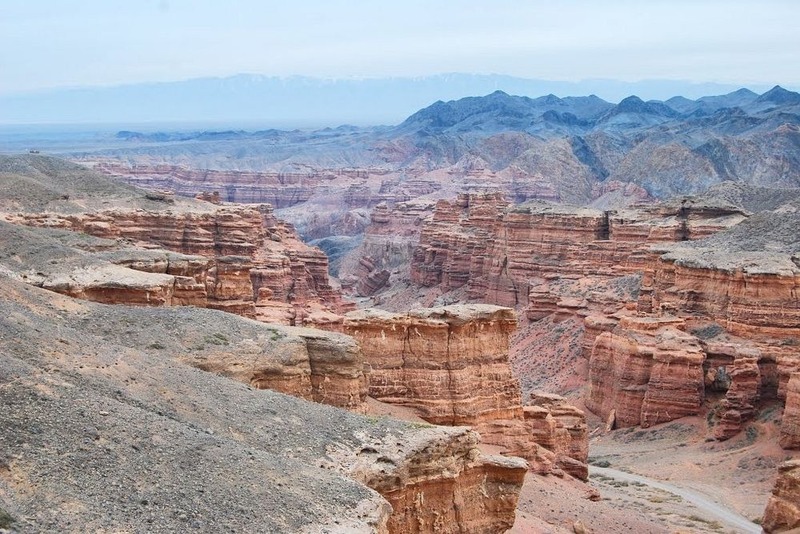 This part of the canyon is about 100 meters deep and there is a path running down the base. 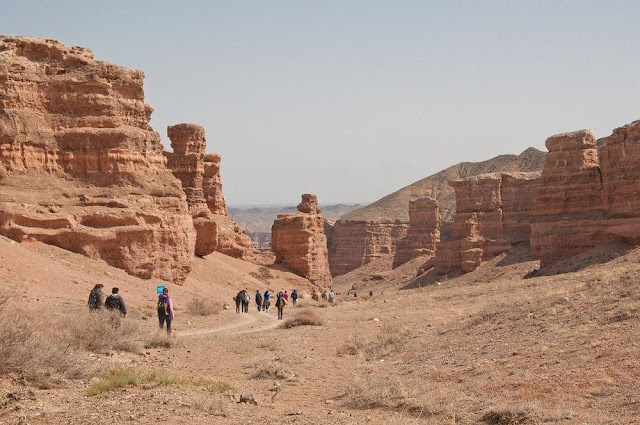 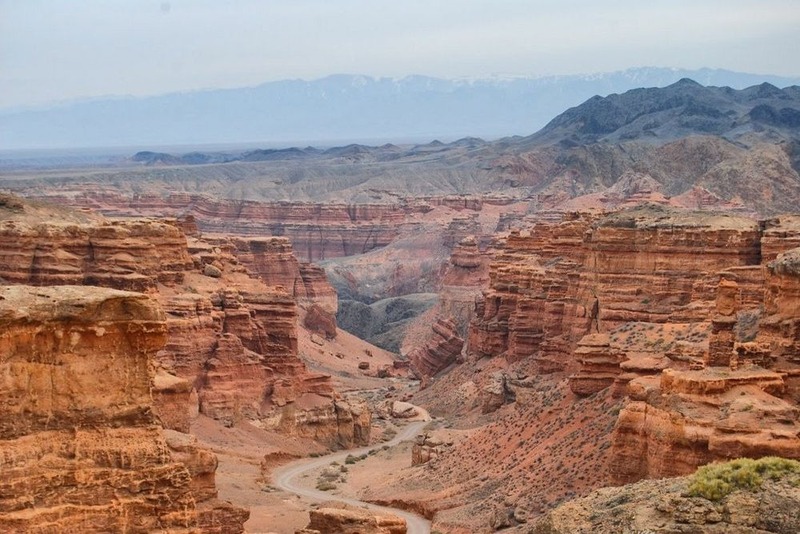 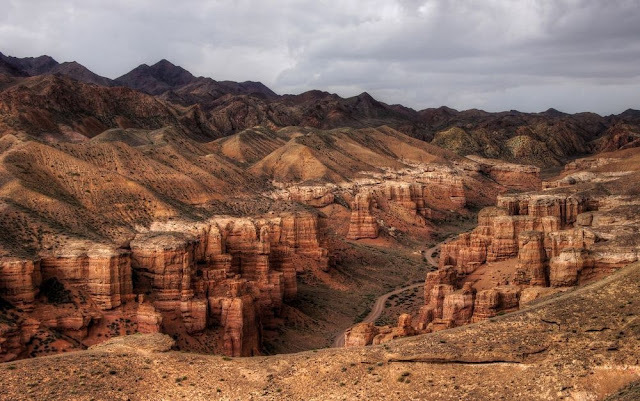 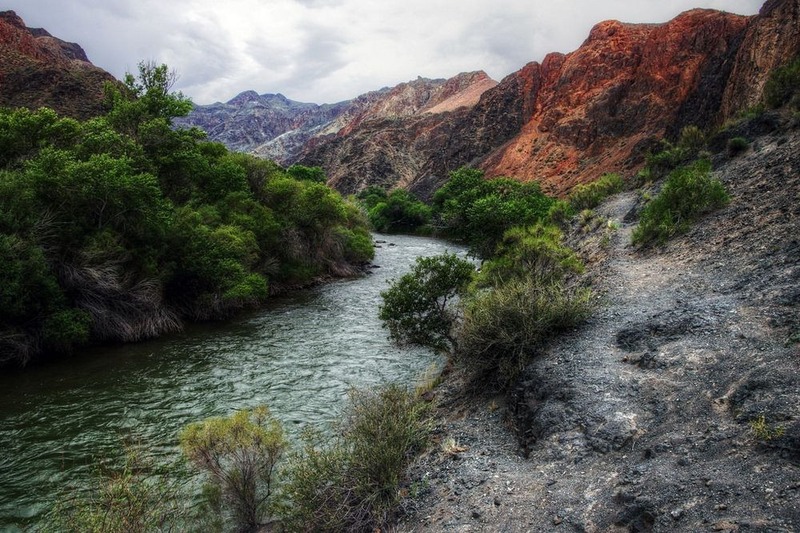 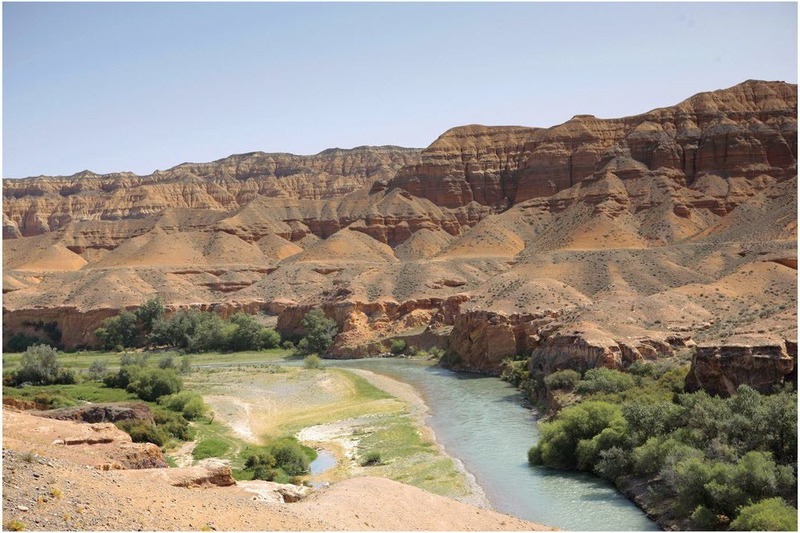 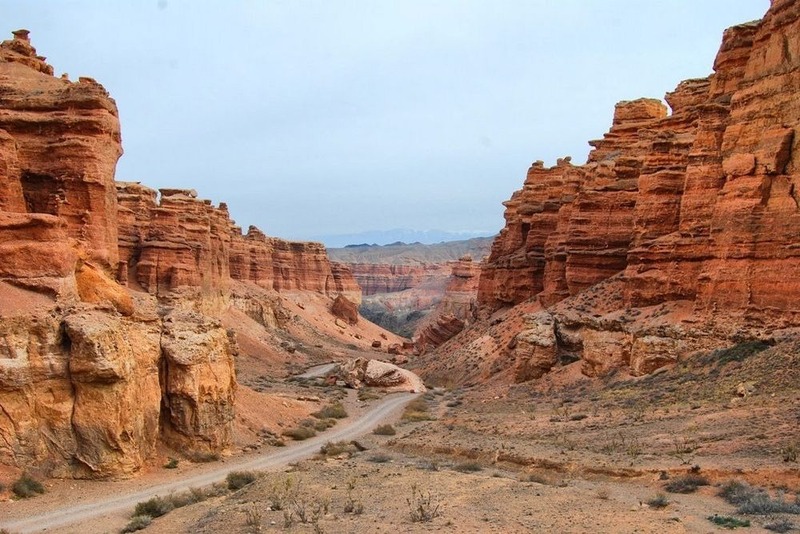 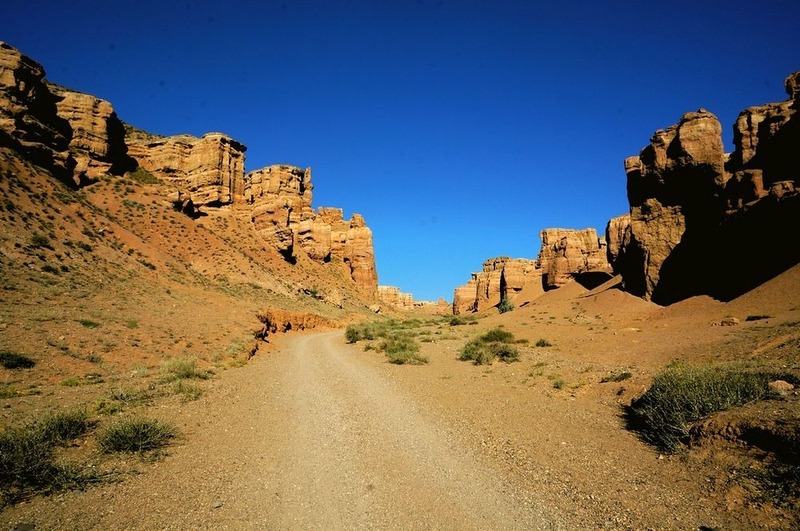 This is the spot tour operators usually take tourists to when they visit the Charyn Canyon.